This is my great grandmother, Louise (pronounced more like “Louisa”). I didn’t know her, and my dad and his brothers didn’t know her (as far as I know). The oldest of his siblings was 6 when she passed away. When I was a kid, I didn’t really think to ask my grandfather about her; for one, I didn’t see him that often, and for two, I was more into riding my bike and building forts in the woods than learning anything about people who I didn’t know that were dead and gone. I would still like to ask my uncles if they remember their father talking about her at all, but I just haven’t gotten around to it, and we’re just not close, sadly. I haven’t seen any of them in years. Poor excuses, I know. Louise was my first international discovery. The first ancestor that made this whole genealogy thing really exciting for me. I was in high school – maybe a sophomore or junior – when I decided to order the death certificate of my grandfather, George, from the McLeod county courthouse. You know, like most high schoolers do. The document listed his mother: Louisa Mathison, born in Denmark. HOLY CRAP I’M DANISH is what I said when I read that, I’m pretty sure. So this must be where our family tradition of eating pickled herring at Christmas time originated. And where I got my ability to hide my emotions so well. Everything was starting to make sense. Over the next couple/few years, on and off, I tried to find out more about her, but I didn’t really know what I was doing, and didn’t find much. At some point, I gave it another good go, and ended up finding another living relative of Louise’s – who didn’t even know of Louise’s existence – and who had done tons and tons of research on her ancestors! Thanks to him, I know exactly where I need to visit when I finally make it over to Denmark! 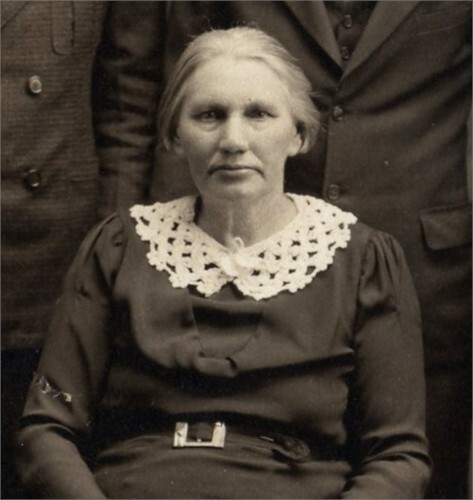 Louise was born on the 7th of September, 1880 to a shoemaker, Jacob Mathiesen Handevidt and Caroline Christensen Smith in Lindeballe, Denmark. I really don’t know that much about her life in Denmark, except that her family seemed to relocate relatively frequently. 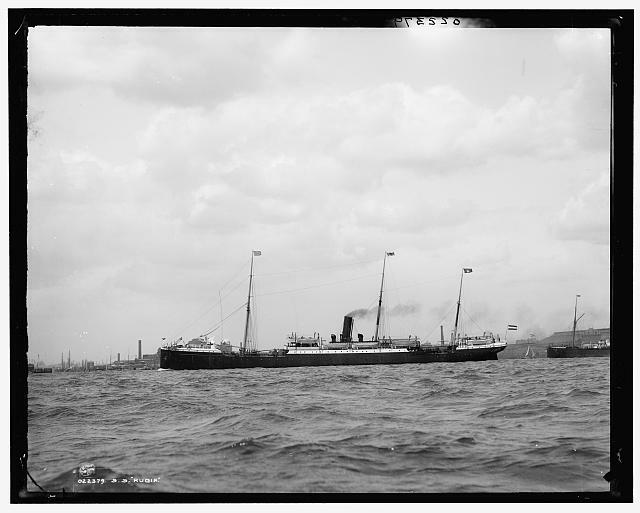 She came to America with her parents and one sister, Caroline on 26 July 1890 on a ship called the Rugia, dropping Handevidt and using Mathiesen as their surname. Louise had 10 siblings including Caroline – some who also came to the U.S. at different times, and some who did not. I would like to find out what she was like – the things she liked to do, what people thought of her, etc. I would like to find a photograph of her when she was younger – I do have some hope that one does exist! I went to MNHS today to see what they had for probate records. I had to get some help, because I had never looked up probates at MNHS before. I’d like to record the steps I had to take to find what I needed, in case I need to remember how to do this again, because I just know I will forget. I thought for sure that the John McGuire one would be my great grandfather, but it wasn’t. It was a John McGuire, Jr. that passed away “prior to 1865”, and though I’m not completely sure how to read these probate records, it mentioned a John McGuire Sr. several times, I think, as the person who was claiming, or taking responsibility for what Jr. left behind. After the Johns, I went searching for the other rolls, and found none of them. They had to be ordered from the Mormons in Salt Lake City, so I will probably see them in about a month. I’m very curious to see the Patrick O’Meara and Mary O’Meara probate records, since some of the Maguire children lived with the O’Mearas. Maybe they will be mentioned in these records? And maybe Mary’s will say something about the saloon/house that she inherited from Anthony after his death? I can hope. Next, I wanted to check McLeod County probate records (P-Recs?). I’m not sure why these were different, but I had to go to another room and submit a request to have a box of old records brought out to me. Maybe they haven’t gotten around to archiving these yet? So I submitted the request, sat at table #8, and waited for my box. When it arrived, I pulled out the thing I recognized: an old ledger book, the index. The rest of the box was filled with file folders of other really old, miscellaneous files (jail records, school records, etc.). I opened up the book to the “Mc” tab, and guess who was there? And guess who is being really difficult again? “No Record”. Of course. I guess that means I won’t find a probate record for him? The other curious thing is the “Insanity of” bit. Why that, instead of “Estate of”? I’m trying to find the answer to this, but so far, no luck. I also checked this index for my other McLeod county names: Cafferty, Mathiasen, Mochinske. And nothing. The rest of my time was spent reading the Sibley County Independent for 1881. More on that later. Must sleep. I decided to migrate my genealogy blog from Blogger into WordPress. I’m paying for hosting and a domain, so why the heck not? And I just like WordPress slightly more than Blogger (no offense, Blogger). I’ve had this blog for a while and haven’t been very active on it, but I think that might change, as I’m starting to get more serious about this genealogy stuff. I figure this will be a good place to track my progress on my hunt for dead people. So it turns out, the death certificate I have for “Anthony Maguire” isn’t actually my Anthony Maguire’s death certificate. However, in the Minnesota Death Certificate Index online, they have it listed as Anton Maguire. The certificate I have is actually for an “Anton Magin” born in Germany, and lived in Mankato, Minnesota almost his whole life. I found this out at the Historical Society in Mankato yesterday. The lady there was quite kind and helped me find two obituaries for him, and these proved that it was not my guy. So, if anyone is looking for an Anton Magin who died in Mankato in September of 1909, you’re in luck! I have his death certificate, and two different obituaries for him.